Even the most well-tended home can fall victim to leaks of toxic or explosive gases. Fortunately, there are simple precautionary steps you can take to protect your home and everyone in it. Walk into any home on any street in any town and you are likely to see the same fire safety features that you have in your own home—multiple smoke alarms located strategically throughout the house. After all, even if there weren’t the potential for catastrophic property damage, “nobody second-guesses whether it’s smart to take precautions” when the lives of loved ones are on the line, says Daniel O’Brian, a technical specialist with SupplyHouse.com. But as grave a threat as fire poses, it’s by no means the only one homeowners have to contend with. On the contrary: in any home with fuel-burning appliances (furnaces, stoves, and so on)—the majority of homes—there are at least two other potentially devastating dangers that smoke alarms do nothing to diminish. Keep reading to learn more about these risks and the simple things you can do to keep them at bay. 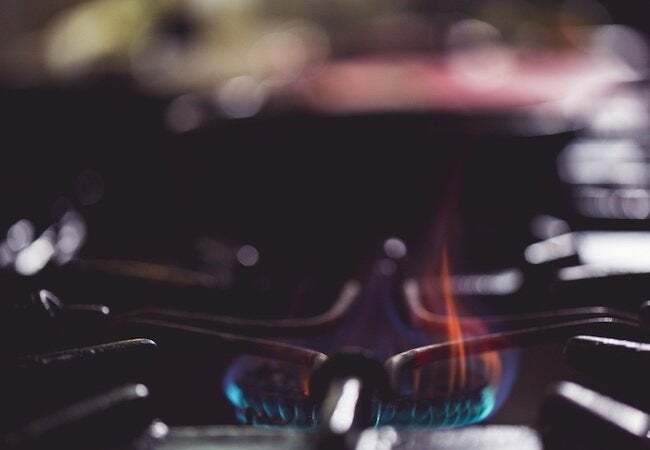 For heating and cooking, more than half of all homes rely on one or another type of explosive gas. Typically, it’s methane, better known as the primary component of natural gas. Over the years natural gas has achieved widespread adoption, supplanting other popular types of fuel (for example, oil). Why? For one, natural gas burns cleanly and efficiently. For another, natural gas has earned a reputation for relative safety. A key factor: because it’s naturally odorless, utilities modify the gas with a noxious, sulfur-containing substance called mercaptan. If anything goes wrong— “if a line ruptures or a seal comes loose,” O’Brian says—the rotten-egg smell of mercaptan provides an unmistakable warning signal. But make no mistake: the deliberate inclusion of an odorant like mercaptan only underlines the fact that a concentration of natural gas can kill you—and “in more ways than one,” O’Brian points out. Natural gas isn’t poisonous per se. If you breathe it in, don’t call an ambulance. You’re going to be fine. Dangers ensue only when natural gas collects in an enclosed space—for example, “in a home with the windows closed for the winter,” O’Brian says. In such a situation natural gas displaces the available oxygen, eventually creating conditions that make it impossible to breathe. Of course, the rotten-egg smell transmits a clear signal that there’s something amiss and homeowners know to react quickly and decisively in response to a gas leak. But if the problem mounts slowly, or if the homeowner doesn’t possess a keen sense of smell, it’s possible for the leak to go unnoticed until it’s too late. Even scarier: in the presence of an indoor gas leak, it can take just a spark to ignite the accumulated gas and cause an explosion powerful enough to reduce the home to little more than a pile of rubble. Unlike natural gas, carbon monoxide (CO) isn’t a fuel. Rather, CO forms as a by-product of the combustion that converts a fuel like natural gas into energy. Whether it’s an oil furnace or a gas-powered lawn mower engine, any equipment that burns fuel also simultaneously generates carbon monoxide. So long as there’s sufficient ventilation, allowing CO to dissipate into the air outdoors, you’ve got nothing to worry about. But as O’Brian notes, “accidents happen,” whether caused by a manufacturing defect, poor maintenance, or user error. Long story short: many of the modern household systems we depend on for comfort and convenience can suddenly become sources of a tasteless, odorless, invisible poison that, according to the Centers for Disease Control, sends more than 50,000 people to the hospital each year and results in approximately 450 deaths. 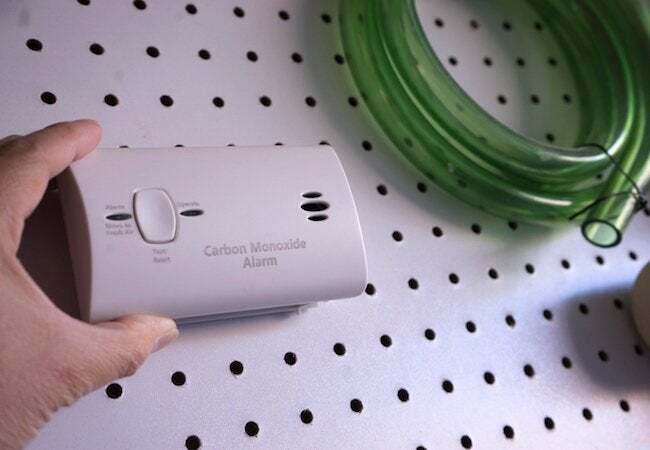 Believe it or not, carbon monoxide ranks as the leading cause of accidental poisoning deaths in America. What makes it so pernicious? For one thing, the dizziness, nausea, and other symptoms of CO poisoning can be all too easy to misinterpret as a cold or flu. Plus, with most CO-related deaths occurring while victims sleep, there’s proof that, as O’Brian puts it, CO doesn’t always give you “a chance to escape.” Whereas natural gas must accumulate for long enough and to such an extent that it displaces the indoor air, the adverse effects of carbon monoxide set in with alarming speed. Plus, because CO binds to red blood cells, preventing them from carrying oxygen to vital organs in the body, the “silent killer” can do serious harm at much lower concentrations than natural gas. Ultimately, it’s a menace “many homeowners don’t take seriously enough,” O’Brian concludes. 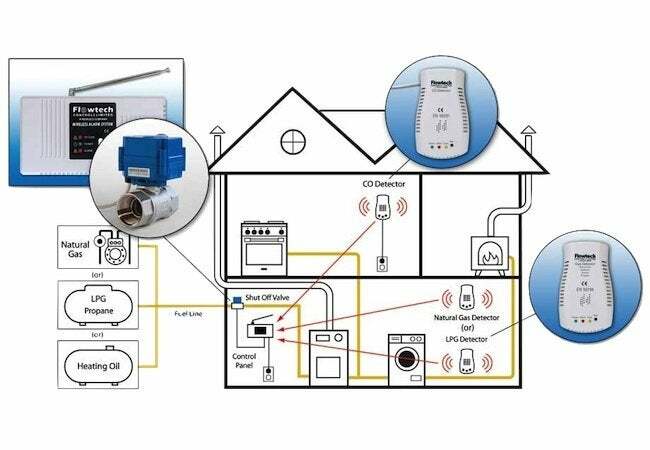 Also, as with smoke alarms, comprehensive protection often depends on the installation of multiple detectors throughout the home. 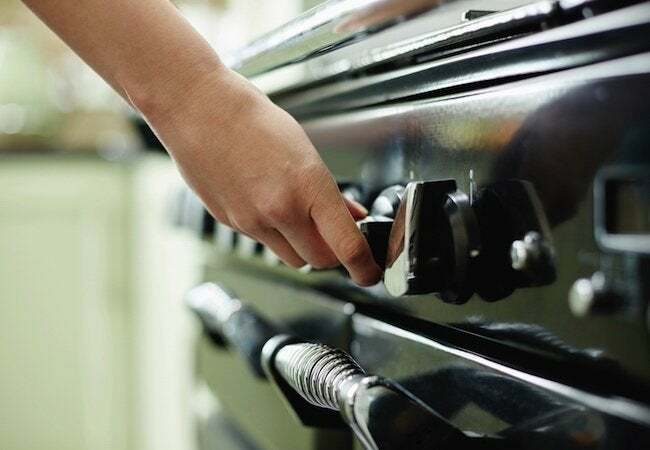 In the ideal arrangement, to mitigate the dangers of explosive gases, a suitable detector would be placed immediately adjacent to each fuel-burning appliance. For carbon monoxide, meanwhile, O’Brian says, “Follow the same guidelines that apply to smoke alarms.” That is, make it a point to place a CO detector in each bedroom, in hallways that lead to bedrooms, and on each level of a multistory house (including the basement). Truth be told, you may not even have a choice in the matter, as the building codes in a growing number of municipalities now require CO protection. Unsure of the regulations where you live? Check with the local building department, then when you’re ready, reach out to the experts at SupplyHouse.com for advice on which unit or units would work the best for you.